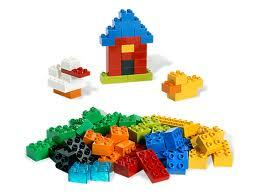 I don’t know about you, but it feels like Lego and it’s variant siblings have been in my life forever. 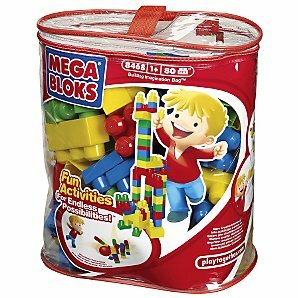 But as a mother, we’ve had mega bloks in the house for our sons from a young age. It wasn’t a deliberate choice, from memory the huge bag came new from a car boot sale. It’s nice enough stuff. You can do little more than make towers or walls. You can’t exactly construct scenes or create characters. You’d need tons of the stuff for that, and they’d end up being life size! And while it’s okay for pre school hands, it doesn’t snap together like lego does and is rather unstable. Small toddler hands are too small for it too. Previously we’ve never had duplo, which is halfway between lego and mega bloks, but Chris’s sister bought Oliver an animal set for Christmas this year and it’s possibly the biggest hit this year! It’s basically a larger lego that snaps together in the same way, has shaped pieces for creating characters, is a better size for a toddler and is nicer in colour. So while previously we may have been collecting the bag of mega bloks from the loft about now for Oliver, instead I shall be investing in more duplo instead. A far better buy in my opinion.